This little book is comprised of 40 of my favourite recipes written during the last year for my weekly contribution to Sunday Magazine. Creating these recipes with full freedom, except for the confinements of the seasons, has become one of my favourite parts of my job. It’s a creative outlet that I need now that my days are spent much less in the kitchen than they used to be, and sadly, much more seated in front of my laptop. Preparing the recipes for my shoots with friend and photographer James Lowe once a month has become a highlight for not just me, but my whole team too. We are around cake all day long, but when something new comes out of the oven, we are reminded how much we all adore sweet things because we flock to it, and it’s gone in seconds. This is the third book I’ve written and the first I’ve self-published. 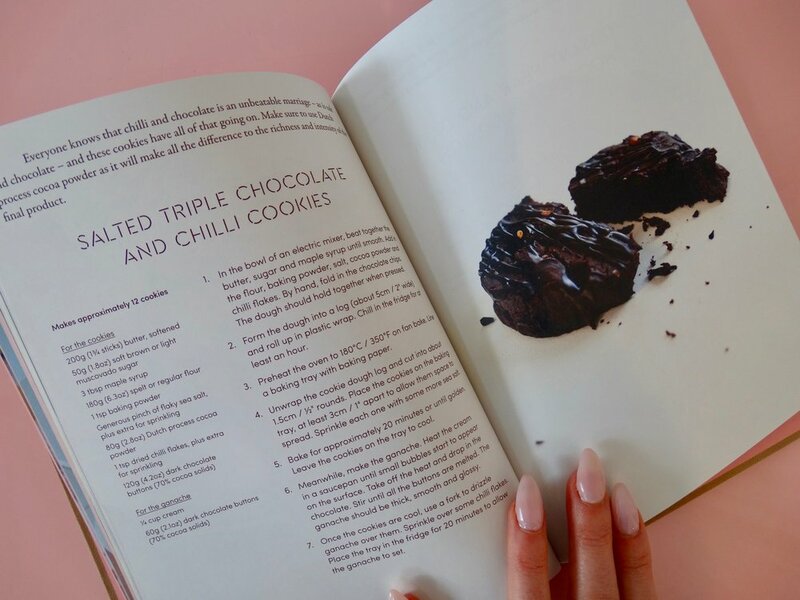 The recipes inside are divided seasonally and range from being vegan, refined sugar-free and gluten-free, to none of the above and using cane sugar and butter. Because let’s be honest, butter is and always will be my favourite ingredient. I hope this book inspires you to get into the kitchen on Sundays and bake.